Powerful plant-based alternative to acetone, toluene, and other petroleum-based solvents. Cleans better, lasts longer, and is better for the environment. 100% bio-based, recyclable, reusable, and 100% biodegradable. Perfect for pre-paint surface prep to remove dirt, grease, and contaminants. Leaves no residue. TotalBoat Eco Solvent is a safer and more effective surface prep solvent wipe, cleaner, and degreaser that can be used in place of toxic, hazardous, petroleum-based solvents like acetone, MEK, xylene, and toluene. Use Eco Solvent before painting to remove dirt, grease and surface contaminants more effectively than petroleum-based solvents, so coatings adhere better and last longer. It’s also great for flushing resin lines and cleaning composite molds, laminating equipment, and hand layup tools. Best of all, you’ll save money because TotalBoat Eco Solvent evaporates more slowly than traditional solvents, so it lasts longer. 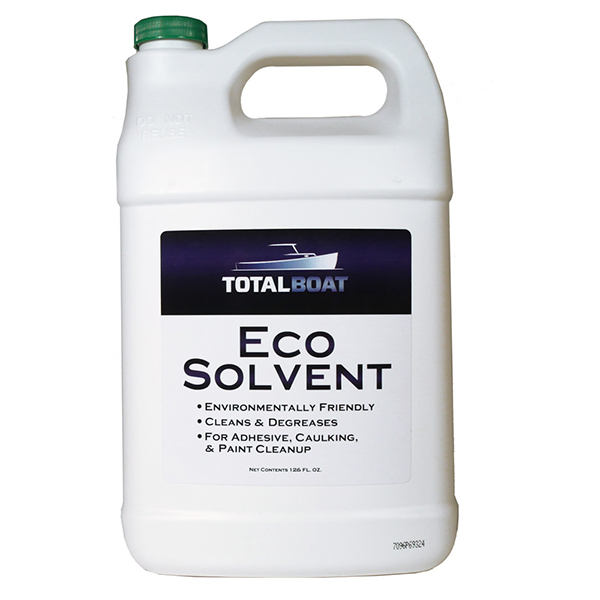 Material Type Compatible with TotalBoat Eco Solvent?